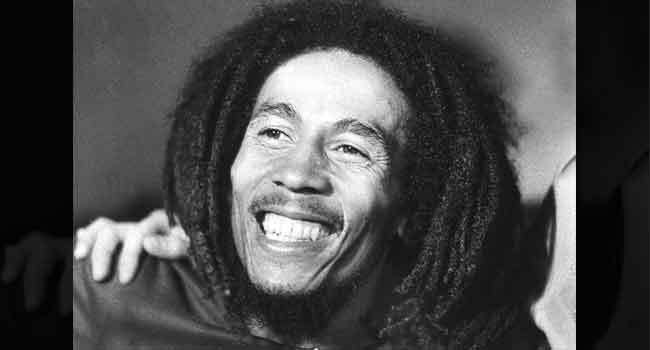 Jamaican musician Robert Nesta Marley, popularly known as Bob Marley, would have been 74 years old today, February 6. Thirty-eight years after he died of skin cancer, he, however, remains wildly celebrated as one of those who popularised reggae or for some, as the ‘King of Reggae’. Marley started his musical career in 1963 with the group, the Wailers and forged a distinctive song-writing and vocal style that became popular with audiences worldwide. Using a blend of reggae, ska, and rocksteady, his songs addressed social issues and were focussed on love, peace, power, protests, among other things. In 1964, the Rastafarian’s musical success took off and he continued to perform, through his illness until late 1980, few months before he passed. Today, as fans all over the world take to social media to celebrate the icon, here is a list of things to remember about him. Although popularly called Bob Marley, his real name is Robert Nesta Marley. He got married at the age of 21 to Rita Anderson. He had 11 children (as listed on his official site), one of which was adopted. He was raised as a Catholic, but later became interested in Rastafari beliefs in the 1960s. He later got converted formally to Rastafari and began to grow dreadlocks. Marley left Jamaica at the end of 1976, and after a month-long “recovery and writing” sojourn at the site of Chris Blackwell’s Compass Point Studios in Nassau, Bahamas, he arrived in England where he spent two years in self-imposed exile. He considered cannabis a healing herb, a “sacrament”, and an “aid to medication”. Consequently, he supported the legalisation of the drug, backing his belief with bible passages such as Psalms 104:14. In July 1977, he was found to have a type of malignant melanoma (cancer) under the nail of a toe. Although he started treatment, his health slowly deteriorated as the cancer had spread throughout his body. He died on May 11, 1981 at Cedars of Lebanon Hospital in Miami and was buried in a chapel near his birthplace with his guitar. He received several awards and honours during his lifetime and even beyond, which include: the Rolling Stone Band of the Year (1976), Peace Medal of the Third World from the United Nations (1978) and the Jamaican Order of Merit (1981). Some of his popular songs were: Redemption Song, No Woman No Cry, Could You Be Loved, Get Up – Stand Up, Africa Unite, among others.